It’s been over a century since wolves were considered extinct from Austria. But now, the World Wildlife Foundation (WWF) have released images of wolves alive and kicking with their cubs in Lower Austria's Waldviertel region. 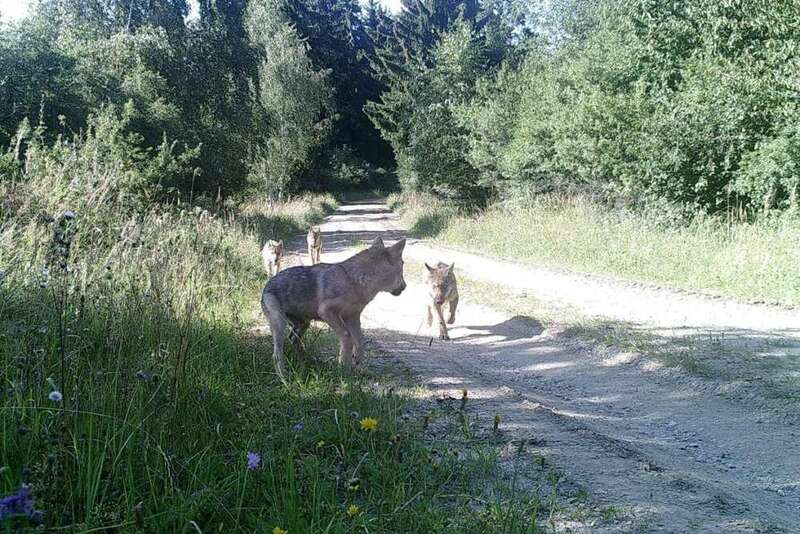 The images of four wolves, including two cubs, were taken by camera-traps stationed around the 15,000 hectare (37,000 acre) Allentsteig military camp. The conservation of this area has been hugely helped through the efforts of the Austrian army over the past 20 years. "These are the first wolves born in Austria since their extinction in the wild over 100 years ago,” Otakar Jindrich, chief conservationist of the area, said in a WWF statement that was translated via Google. “The young wolves are under military protection, so to speak,” he joked. The past decade has seen a few wolves sneak over to Austria from Italy, Switzerland, Slovenia, and Slovakia, but they were not believed to have stayed in the area. The new photographs, however, show promising evidence that wolves are happily staying and breeding in Austria once again. There was a time when wolves were commonplace across northern and western Europe, including Britain. However, centuries of widespread hunting had taken its toll by the late 19th century. Over much of the last 100 years, significant numbers of European wolves were only found in small and isolated pockets of Italy, Spain, and the former Soviet-Union. Nevertheless, there has recently been a return of the wolf to other countries in western and northern Europe. Since the 1950s, wild populations have returned to Germany, France, Sweden, Denmark, and Norway, largely thanks to massive conservation efforts. It looks like they've now got some Austrian neighbors, too.